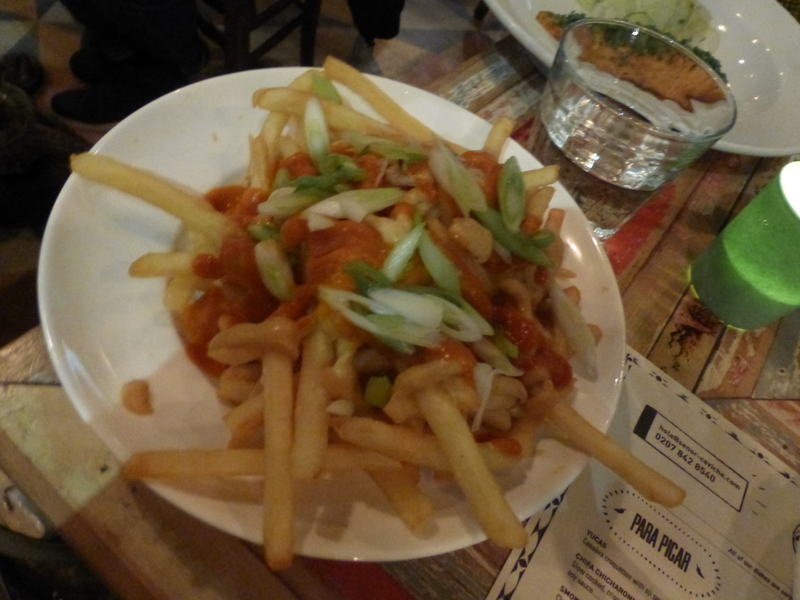 I’ve never been to the South American country of Peru but it is a place I have always wanted to visit and hope to do so one day, I recently got a taste of Peruvian cuisine in the heart of London and it has made my want to visit rise even more. 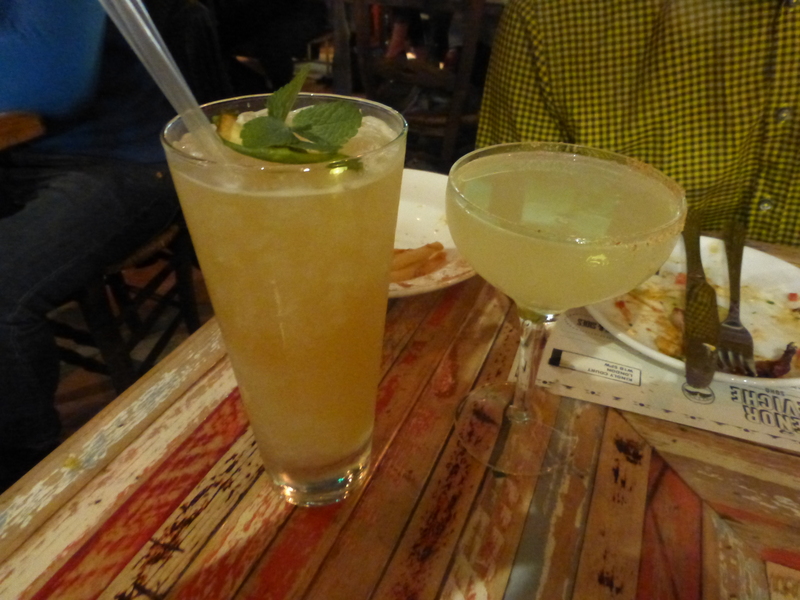 Located amongst an array of other delightful establishments Senor Ceviche sits in pretty Kingly Court in Soho. It was a Tuesday night when my guest and I decided to visit, as soon as we walked in we saw that the newly opened restaurant had a really amazing buzzing atmosphere. 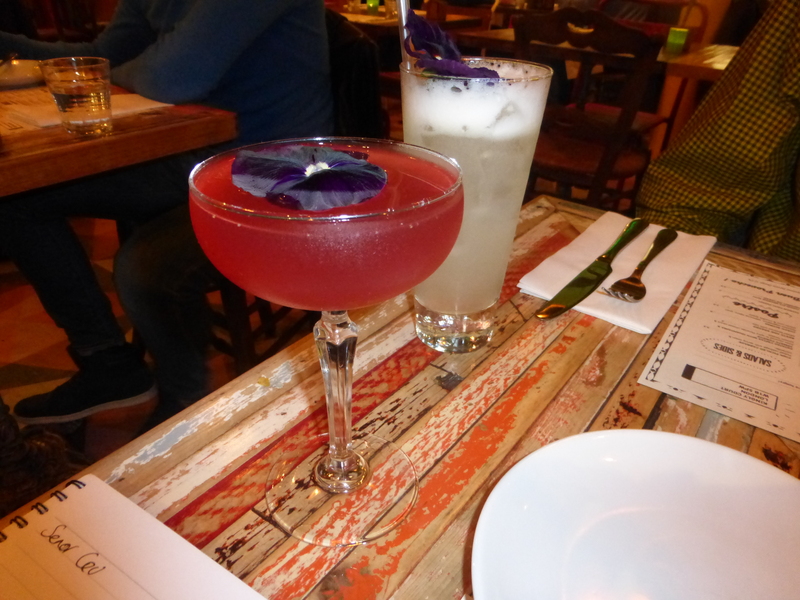 It had quirky South American décor, funky salsa music, had ambient lighting (but not too dark) and was very atmospheric. We were shown to our seats by an excellent waitress called Fabrizia who was actually really ‘fab’ throughout the whole evening, she recommended some excellent cocktails for myself and my guest who has actually been to Peru. We started with a fruity Miraflores (absolutely delicious for all the fruity, girly, cocktail lovers!) and my guest had a Titicaca Fizz which was a long gin and lemon based cocktail. Other cocktails we had were the Mamacita, Ayahuasca and the San Isidro Slicker – all were really nice South American style cocktails with great measures of alcohol content and really delicious! 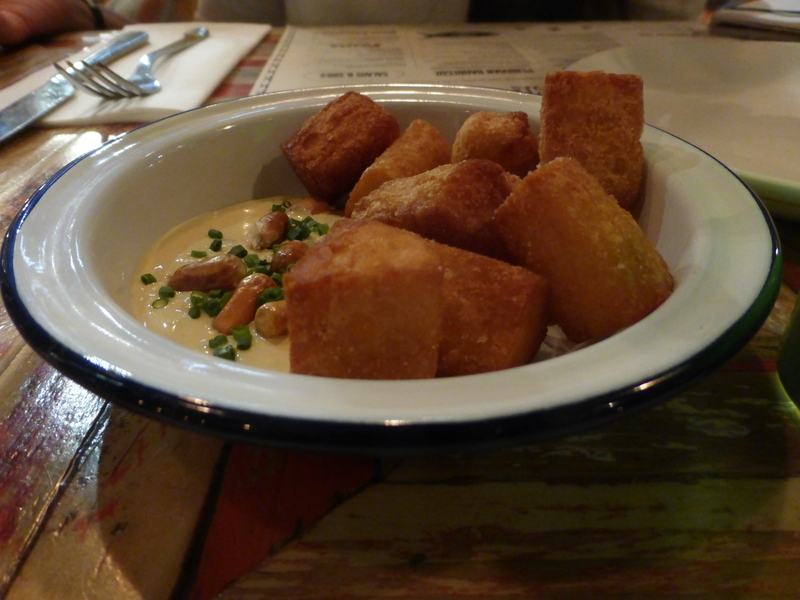 Senor Ceviche serves tapas style food so we started with the Yucas – fried, crispy, Cassava served with a creamy, garlicky sauce. The only time I have ever had Cassava has been in Indian food so this was an excellent way to taste how other cultures cook Cassava. Upon speaking to the founder Harry, a guy who has travelled around Peru and his passion for food really comes through, we were surprised to know that the food had a few Japanese influences like Miso and tamarind – but these flavours really worked in the food. I think at a tapas place it is really important to enjoy the food you’re eating because there are so many different flavours exploding in your mouth at the same time and getting recommendations is great and really important, so a huge thank you to both Harry and Fabrizia. Next we had the restaurants signature Ceviche the Senor Ceviche which is Sea Bream ceviche with Aji Amarillo tiger’s milk, avocado and tempura baby squid. 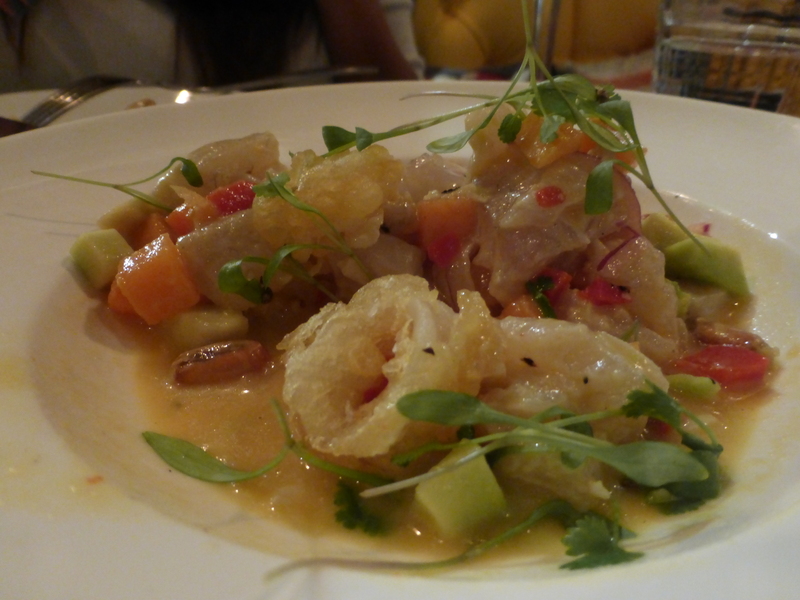 If you didn’t know ‘Ceviche’ is a cured raw fish and this dish was refreshing, tangy, light yet delicately flavoursome. 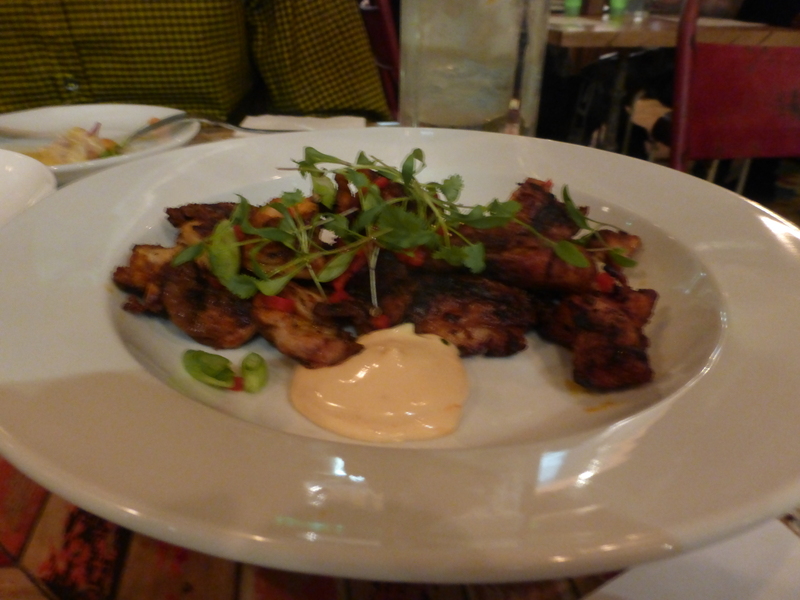 Next was the AMAZING Super Chicken – chicken that is marinated and grilled on a skewer then served with in aji rocotto mayonnaise. It was kind of a BBQ style dish but really succulent and yummy, a nice comfort food too, I could have kept eating the chicken all night! It really was super! 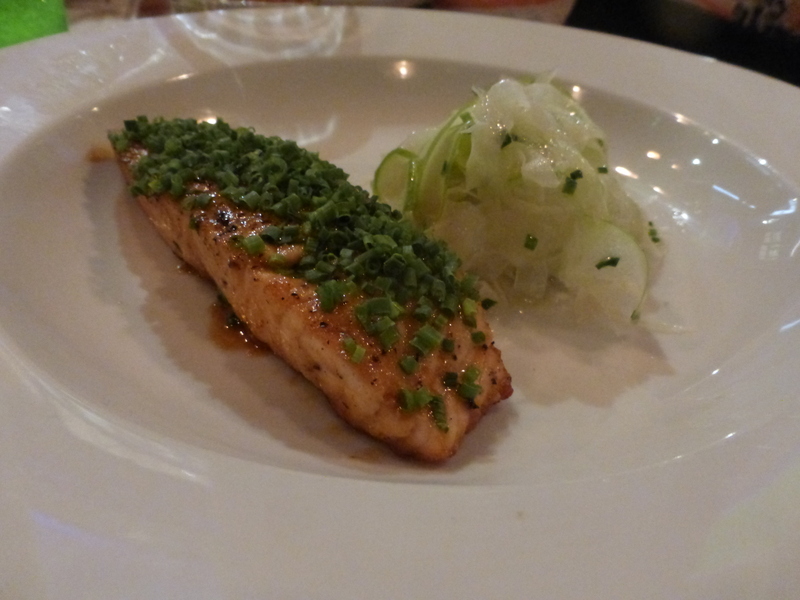 By this time I had really taken a liking to Peruvian cuisine; so next was the Chancaca Salmon with Fennel. As I am a huge Salmon lover I found that the fish was perfectly cooked being crispy on the outside and tender on the inside, it was delicately spiced and well presented. It was served with this amazing cucumber side. I’m not quite sure how to describe it but it was thin array of sliced of cucumber in a relish/salsa kind of sauce it was soooo yummy and I could have eaten a whole plate of it! On the side of the dishes we had the Patatas Fritas with tomato fondue, spring onion and Peruvian Cheese which were a nice dish to nibble on. That was the tapas we had and for dessert I opted for the Passion Fruit Posset which was a light, fruity and creamy dessert and an excellent palette cleanser. 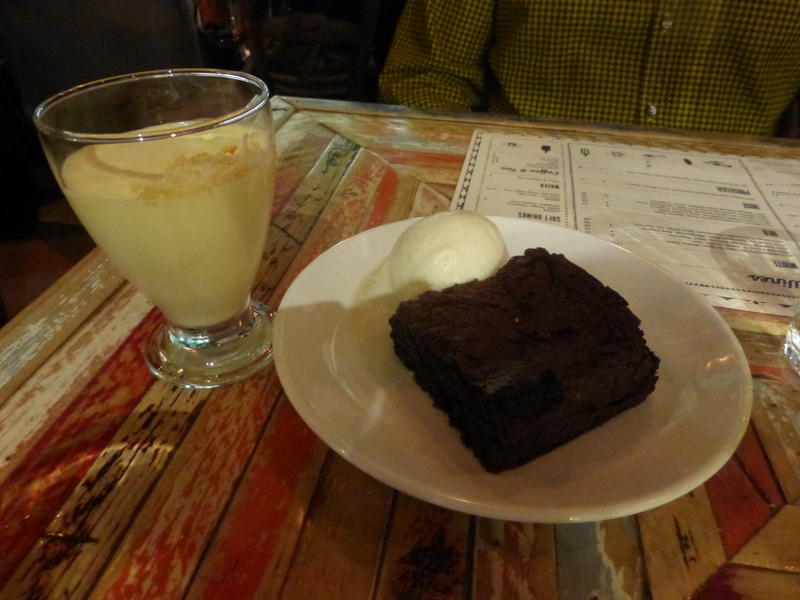 My guest went for a chocolate brownie with coconut ice cream – again a really nice sweet to end the meal with. Overall Senor Ceviche wins with its quirky décor, unique & tasty food, and great location. A great place for after work food, girls evening out or even a casual date! I’ll definitely be visiting the Senor again.